LIMA restaurant is the new creation of award winning Chef John Marquez after returning from an apprenticeship at the acclaimed Cevicheria La Mar & Panchita Sazon Criolla in Lima, Peru; both owned by Chef Gaston Acurio, considered the ambassador of Peruvian Cuisine. Executive Chef Marquez was born in Lima Peru where he watch his grandmother cook after accompanying her to the farmers market daily to shop for the family’s traditional ingredients. At a very young age, he started experimenting with food and crafting dinner; perhaps his interpretation of dinner for his mom & dad. Chef Marquez grew up in Danville and graduated from college with a degree in Culinary Arts and Hotel & Restaurant Management while doing a formal apprenticeship at Bridges with Chef Kevin Gin. At age 21, he moved to Las Vegas to work at Lutece in the Venetian Hotel, with the goal of chefing for Julian Serrano at Picasso in the Bellagio Hotel where he worked for almost three years after working pro bono until a position opened. The opportunity to work with Daniel Patterson at his restaurant at that time, Elisabeth Daniel, brought Marquez back to the Bay Area. This experience enabled Marquez to move to the Napa Valley wine country to work for Thomas Keller at the world famous French Laundry who then sent him to New York to help open Per Se in 2004. After that, Marquez returned to the Napa Valley as Chef de Partie to re-open the newly remodeled French Laundry, both three Michelin star rated properties. When Daniel Patterson again reached out to him, Marquez accepted the position of Chef de Cuisine at Patterson’s new restaurant, Coi, currently rated as a two Michelin star restaurant. 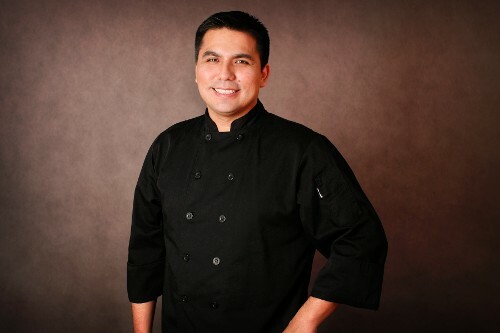 Gaining a variety of executive chef knowledge enabled Marquez to open his own upscale, Contemporary California-French cuisine Artisan Bistro in Lafayette California in March 2009 where customers and critics alike have come to admire his talent, creativity, professionalism and work ethic. As an Executive Chef, whom is Peruvian, his passion, talent, creativity and love for his country has captivated him to declare authentic Peruvian cuisine and continue his grandmother’s native traditions at LIMA using quality, authentic, earthy ingredients with a unique twist.